Respectfully submitted for your approval - the story of the long, lost 'pilot' episode of one of TV's great classic series - 'The Twilight Zone'. In 1950, Cincinnati resident Rod Serling, just out of college, started submitting, and selling, scripts to the fledgling TV market. 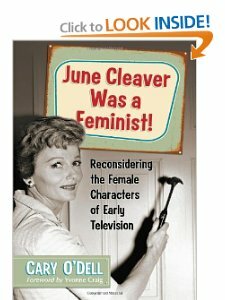 By 1954, he was one of the hottest writers in television, weaving intelligent dramas for virtually every anthology show on the air ('US Steel Hour', 'Schlitz Theatre', 'Lux Video Theatre', 'Suspense', 'Armstrong Circle Theatre'). The 'Kraft Television Theatre' broadcast of "Patterns" in 1955 brought the author national acclaim, the first TV drama in history to ever be repeated by popular demand. "Patterns" won Serling the first of his six career Emmy Awards, more than any other individual to date. Serling penned twenty dramas that were produced in 1955. The following year his "Requiem for a Heavyweight" became the first original ninety-minute drama ever written expressly for TV, winning a Peabody award, the first ever for an author. That 'Playhouse 90' presentation also won multiple Emmy Awards and further established his reputation as television's premier writer. 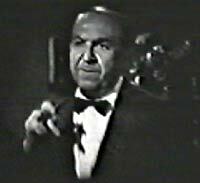 "The Comedian" (another Emmy winner) followed in 1957. In 1958, Rod Serling met with CBS exec William Dozier and pitched an idea he'd been brewing for a long time - a fantasy-oriented anthology program. By creating an undefined, otherworldly environment, Serling hoped to tackle controversial subjects and tell meaningful stories under the camouflage of science-fiction and whimsy. "Before the script goes before the cameras," Serling was quoted as saying, "the networks, the sponsors, the ad agency men censor it so that by the time it's seen on the home screen, all the message has been squeezed out of it." Recalling an earlier production, he stated, "One time we couldn't mention Hitler's gas ovens because a gas company sponsored the show." Intrigued by the 'Twilight Zone' concept, Dozier ordered a script and a few weeks later Serling turned in 'The Time Element', the story of a guy who wakes up on December 6, 1941 - the day before the Japanese bombing of Pearl Harbor. Dozier liked the script, but hour-long anthology shows were on the way out - would Serling consider a half-hour format for the series? Despite misgivings about the abbreviated form (considering half-hour shows beneath him), Serling turned in an alternate, thirty-minute script. "The Time Element" was shelved and "The Happy Place", a melancholy story of a society that doesn't allow anyone to live past the age of 60, was approved to become the first episode of Serling's new series, 'The Twilight Zone'. Before filming could begin, the CBS ultimately rejected "The Happy Place" - reasoning it was unsuitable as a pilot, too depressing to attract advertisers (who were generally pushing 60 themselves). Serling reacted angrily, storming out of the meeting when he was told, turning his concentration instead to other TV and motion picture projects. Concurrently, 'Westinghouse Desilu Playhouse' producer Bert Granet had a problem - finding good scripts for the new anthology show that rotated with 'The Lucy-Desi Comedy Hour'. CBS was strong-armed into taking the anthology series in order to get the adventures of the Ricardos for an hour once a month. While the 'Lucy-Desi' programs were top-ten gold, ratings suffered depending on what was being presented on the alternate weeks. In a meeting with Rod Serling, Granet asked television's most acclaimed writer if he had a script he could use for 'Desilu Playhouse'. Serling answered no, but then remembered CBS still had "The Time Element" on hold. 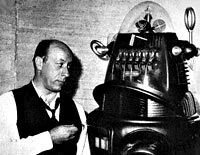 While Serling mulled the future of 'The Twilight Zone', Desilu purchased "The Time Element" from the network. When Westinghouse ad execs read the script they rejected it out of hand. They HATED science-fiction and "unfinished stories" that didn't end with a nice, neat (preferably happy) ending. Producer Granet fought hard for the script, against enormous pressure from the sponsor - promising that this would be the first and last sci-fi story the series would ever produce. Serling completed minor rewrites on "Time Element" (for instance, Westinghouse had the Army excised from the story because of their defense contracts); afterward he turned in his third pilot script to CBS for 'The Twilight Zone,' entitled "Where is Everybody?" When "The Time Element" was broadcast on November 24, 1958, the response was overwhelming - phone calls, letters and telegrams flooded the network, more than they had ever received for a drama - and the critics raved. The story was a strong onesmall-time bookie Pete Jensen (William Bendix) asks a psychiatrist (Martin Balsam) to evaluate his story - he keeps waking up on December 6, 1941, the day before the Japanese bomb Pearl Harbor. He keeps drifting back and forth from the past, where no one takes him seriously when he warns them of the impending attack. The ending provides a 'Twilight Zone' twist when the doctor goes into a bar, sees Jensen's picture on the wall, and is informed he died on December 7, 1941 at Pearl Harbor. Because of the robust viewer reaction to "The Time Element", CBS execs moved 'The Twilight Zone' to the front burner. A deal was struck, giving Serling and CBS each 50% ownership of the show, with the network picking up all of the production costs. A new pilot, starring Earl Holliman, was rushed into production. "Where is Everybody?" 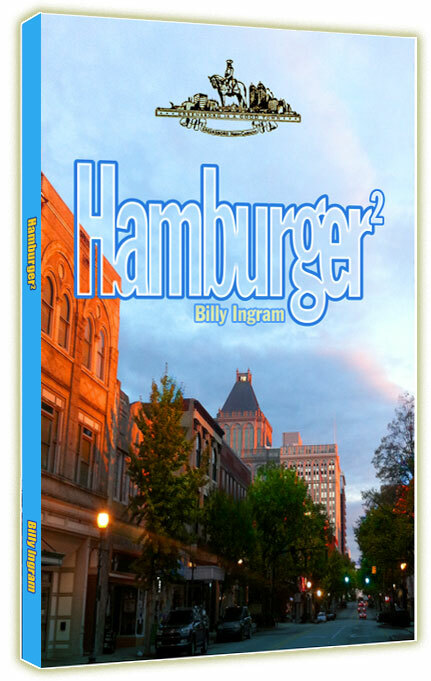 was the tale of a man wandering through a seemingly deserted city but discovering lit cigars, running cars and other signs that people had been there until recently. Finding no one wherever he looks, he becomes more and more panicked (it turns out he's an astronaut going through an isolation experiment). Based on the strength of the pilot, sponsors (eventually) bought into the series but they had one reservation. The show needed a reoccurring character or narrator. After a frustrating search, Serling himself was selected (at first just doing voice-overs, later appearing on camera) and the rest is history. 'The Twilight Zone' debuted October 2, 1959 to critical acclaim and dreadful ratings (against the hit '77 Sunset Strip'); fortunately, audience numbers grew as the season progressed. Ratings remained respectable during the five-year run of the series, but the show never finished any season in the top 25. After three years on the air, 'The Twilight Zone' was canceled in 1962 - only to be brought back by popular demand in January, 1963. This time CBS suggested the show be expanded to an hour. Ironically, it was Serling who fought the idea - he reasoned (correctly) that 'The Twilight Zone' worked best as a short story. "I don't have to write a third act," Serling once said, "The third act is - 'That's the way it is in the 'Twilight Zone!'" The hour format flopped and the program was cut back to thirty minutes for the 1963-64 season, Twilight Zone's last year. 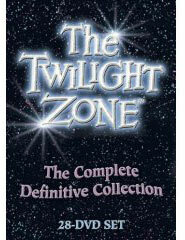 From 1959 until 1964, Serling wrote or adapted 89 'Twilight Zone' scripts himself and supervised more than 60 other memorable episodes, with stories by Richard Matheson ('Killdozer'), Earl Hamner ('The Waltons'), Charles Beaumont and others. 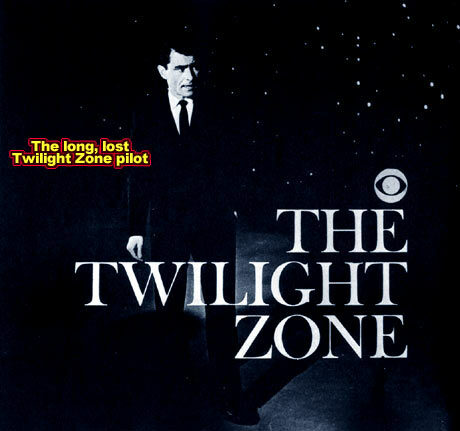 Just months before 'The Twilight Zone' went into syndication, Serling sold his rights to the series to CBS. By that point, he was writer/creator of 'The Loner', a thirty-minute western series starring Lloyd Bridges that debuted in 1965. That program failed to capture an audience and was cancelled after one term. Serling missed out on millions in future royalties when 'Twilight Zone' proved a major hit in syndication. His subsequent small screen ventures left him even more frustrated and generally bitter about series television and the industry in general. 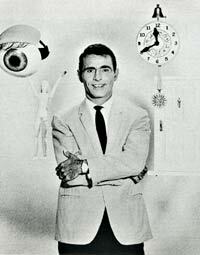 Rod Serling was rarely seen on TV in the mid-sixties, though he turned up for one season in 1969 as the host of 'The Liar's Club', a syndicated game show. "Good evening. If you seem to sense an aura of cold dampness that permeates this room, attribute it not to either defective air conditioning or inclement indoor weather. It's simply because this is rather a special place with special statuary and special paintings, and they carry with them a coldness that seems to go best in a crypt -- or in a place like this, called the Night Gallery." 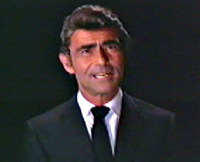 In December of 1970, Serling returned to prime-time as the host and occasional writer for NBC's 'Rod Serling's Night Gallery'. The series was based on a highly rated, critically acclaimed TV-movie of the same name that aired a year earlier. Despite the title, the show WASN'T his, Serling was just a hired hand more or less - although the stories that he wrote are nearly as good as the best 'Twilight Zone' episodes, particularly 'They're Tearing Down Tim Riley's Bar,' which aired January 20, 1971, in my opinion one of the most compelling dramas ever written for television. This series suffered from that cheap, Universal backlot look which often spoiled the mood, with obvious day for night shots, but there was no other horror / sci-fi to be found on TV at the time and the network did little to insure its success. 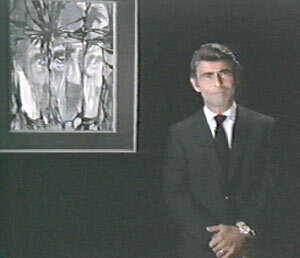 'Night Gallery' ran for a short season as part of the 'Four-In-One' series, then earned a weekly timeslot in the fall of 1971. When the show returned in the fall of 1972 it was cut from 60 to 30 minutes and was cancelled mid-season. 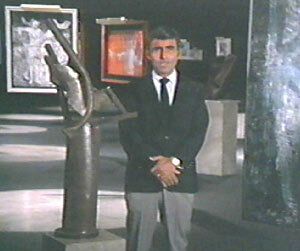 Serling also authored several motion pictures - including 'Seven Days In May' (1962) and 'Planet of the Apes' (1968). His last major film project, 'The Man' (1972), was an adaptation of Irving Wallace's novel about the first black man (James Earl Jones) to become the U.S. President - which you would think would be on DVD given current circumstances. Rod Serling hosted one more suspense series that aired in in 1973 - Zero Hour, a show very much like Night Gallery with Serling introducing each episode; he even wrote some of the scripts. 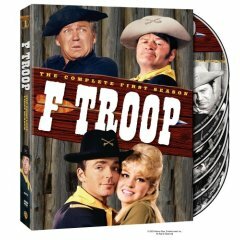 A year in the making, the many stars appearing on the syndicated series included: George Kennedy, George Maharis, Craig Stevens, Shelley Berman, Susan Oliver, William Shatner, Greg Morris, Joe Campanella, Howard Duff, Judy Carne, Ed Nelson, Juliet Mills, Keenan Wynn, Nehemiah Persoff, Brock Peters, Joanne Worley, Edgar Bergen, Peter Marshall, Ross Martin, Joe Campanella, Monte Markham, Mel Torme, Jackie Cooper, and Bob Crane. Serling died in 1975 during open heart surgery. 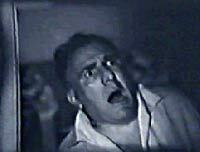 Bonus in 'The Time Element' - you get to see Jesse White (the original lonely Maytag Repairman) in a tough-guy role. He even slugs a guy!